No one ever really sits down and teaches you how to write a professional email. It’s kind of something you’re left to figure out on your own. I write emails all.the.time. Whether it’s to a reader, a professor, my school advisor, or a causal email to a friend, I like to think I’ve gotten the hang of emails. It’s important to understand email etiquette so if you’re ever in the situation where your emailing someone about a potential job, or an internship, you really want to impress them! 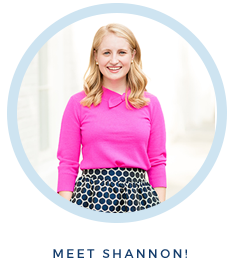 Here are some of my tips and tricks to writing a professional email. 1. FONT- First and foremost make sure you use a normal, readable font. The most annoying thing ever is when you get an email and it’s in a weird curly font that I need help deciphering what it says. I suggest sticking to Times New Roman, Arial, or Cambria. 2. EMAIL ADDRESS- The first thing someone is going to see when your email pops up is who it’s from. The last thing you want them to see is your embarrassing email address from 8th grade. We all have them, mine was just as embarrassing as everyone else’s, but I have since then made a new email address with my name that I use for all my professional emails. I suggest creating an email address that has your first and last name in it so people can easily recognize who the email is from right when it pops up in their inbox. 3. SUBJECT- The second thing someone is going to see when your email pops up is the subject. Make your subject concise, and to the point. This will help the recipient easily identify what it’s about and serve as a refresher when they are answering emails. If you are emailing about a possible internship, put in the subject box: “Internship Inquiry”. 4. SPELL CHECK- Grammar is essential. The best tip I can give to avoid spelling mistakes and little grammar issues in important emails is to write your email in Word first. I will be the first to admit I am the worst speller. It took me until 9th grade to learn the different between essay and easy. Word helps me catch the little mistakes and then your can easily copy and paste it over into the email. After you have written it, read over it multiple times to make sure everything makes sense. The best way to ensure it makes sense is to read it out loud. You would be surprised how many mistakes you find when you read something you wrote out loud! 5. CONCISE- Keep in mind that short, sweet, and to the point is the best way to write a email. It’s okay to fluff it up a little but I highly suggest not writing a page long email for one little question. A short opening explaining who you are/ asking your questions will do and then following with a nice closing thanking them for their time is perfect! Most professionals are on tight time schedules and the worst thing is when you receive a super long email for one little question! 6. THIS ISN’T TEXTING- This isn’t texting. Although you can send emails from your phone you have to keep in mind that email is a more formal, professional way of communicating than texting. Don’t use acronyms like LOL, JK, and NBD. Although they might be okay in a tweet or text they are not appropriate for an email. The same goes for punctuation. Although you might not use periods or commas in a text, you definitely need proper punctuation in an email. I have a tendency to use ALL CAPS a lot in texts, but definitely avoid doing that in an email. 7. TIMELY- Imagine if you were on the other end. You would want them to reply to you as soon as possible so try to reciprocate that by replying to any emails you get in a very timely fashion. If it is extremely time sensitive try to reply within a day and all other emails I would suggest 3 days maximum. 8. BE POSITIVE- I cannot stand negative nelly’s. It’s no fun to receive a depressing email from someone who doesn’t believe in themself! If you are emailing a professional, it’s highly important to sound positive and confident. People like to surround themselves with positive people and they can tell through your email that you are a happy positive person, they’re more likely to want to hire you! 9. WAIT- One small trick I learned when I was younger from my dad was to wait to fill in the “To” email address until you are completely done with the email. This prevents you accidently pressing the send button before you are done and it being sent unfinished! 10. CONTACT INFORMATION- Make sure to include contact information in your signature. I usually have my email under my name as well as my cell phone number in case they would prefer to call me! These are all great tips! Email is definitely one of those things that you get better at over time. I feel like, with the younger generation starting off so early with technology and internet access, they'll have a lot to learn about not being so casual when you need to be more formal, haha. Great tips! I'll definitely use #9 - I've sent multiple unfinished emails! Awesome tips - I've used all of these at some point or another. Love this! 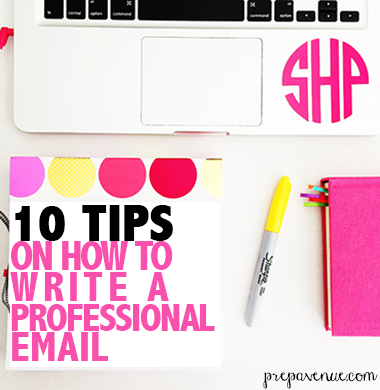 I definitely send a ton of emails, and try to use tips like these as often as I can! I love #9 - while I don't often send unfinished emails, it's definitely a good way to prevent that from ever happening! Avoiding do's and don'ts is a must. I guess professional will become better with time, you have to be nice and keep grammar. Click http://pro-academic-writers.com/ in a case you need an essay help.